If you want to become a real master of soccer, you have to invest time, strength, dedication, and patience in your training sessions. However, you also have to learn a few tricks in order to be one of the greatest. The good news is that online soccer tricks are now available to anyone who strives to improve their soccer skills. Best Soccer Tricks introduces an innovative program created by professionals and suitable for players of any age who want to up their game. 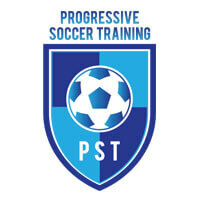 Check out our comprehensive Best Soccer Tricks review and learn more about this excellent soccer training method. Have you polished your soccer skills to perfection but are still spending a lot of time on the bench waiting for your moment? It’s because you’re not the star of your team. Yet. Although you work hard and do your best every time, using just your usual routine can’t make you the best player ever. The key to reaching the very top is creativity. Best Soccer Tricks offers you a chance to take a glimpse into the locker rooms of professional players and hear the secrets of their success. Small tricks are what make your game great. And you can easily learn them with Best Soccer Tricks. With Best Soccer Tricks, you can learn how to think outside the box and boost your endurance, speed, and ball control. This excellent program teaches you how to understand strategies and be the most valuable player in your team. It is created to help players of all levels improve their game. Although the Best Soccer Tricks website doesn’t feature a blog section, there’s something you might find even more useful. The diligent crew of Best Soccer Tricks has a YouTube channel that features videos of highly useful tips and tutorials. Moreover, not only do you get free tips from YouTube videos, you also don’t need any special equipment for Best Soccer Tricks, which makes them one of the most affordable soccer training programs on the market. Their eBooks are compatible with any device you have, from your phone to your laptop or PC. Magic demands tricks and if you want to be a real magician on the field, you need to take some time to learn tricks used by pros. Luckily for anyone who wants to put some extra effort in their soccer training, Best Soccer Tricks are now available as eBooks. When you order from Best Soccer Tricks, you get two eBooks of Soccer Game Improvement System. This program has been specially created to teach players useful tricks. It focuses on understanding advanced strategies, which is crucial for every world-class soccer player. Your skills are definitely important, but they aren’t useful at all if can’t implement everything you know when you’re on the field and have to cooperate with your teammates. Furthermore, Best Soccer Tricks can help each player deal with the pressure every game brings. The superb psychological methods from Soccer Game Improvement System teach you how to develop a winning mindset that can help you play better and smarter. Moreover, Best Soccer Tricks provides creative exercise methods that can upgrade your physical fitness too. People from Best Soccer Tricks claim that you’ll notice some progress in just one week. And in just three weeks, you can score twice as many goals and improve your speed and endurance, as they say. Best Soccer Tricks are divided into two eBooks, Learn to Play Soccer and Remain on the Field. You get both eBooks in PDF format that you can download immediately and start your extraordinary training today. The Soccer Game Improvement System set costs only $29. In case you don’t like the Soccer Game Improvement System, Best Soccer Tricks offers a 60-day money back guarantee, meaning that you will get your money back if you are not satisfied with the program. Every premium soccer player has a few secret tricks that make their game magnificent and add a pinch of magic to their moves. If you want to stand out among other soccer players and be more than an excellent amateur, you need to learn several pro tricks as well. Best Soccer Tricks offers a great soccer training program that features advice from professional players. To conclude this informative Best Soccer Tricks review, this online soccer training program is not only extremely helpful but also very affordable. Excellent program, I must say. Helped me a lot. I’ve always been the nerd of my team, training harder than anyone else, coming first, leaving last, but I’ve never managed to become the best player in my team. Now I know why. I lacked some creativity and Soccer Game Improvement System taught me what I needed to change about my game. Now I’m practically irreplaceable. Thank you Best Soccer Tricks! I’m very happy with soccer game improvement system. It really took only a week or two to make progress. Worth every penny! I ordered it because it was cheaper than other programs and I liked that someone has finally added a girl in their presentation. The program helped me a lot. I feel stronger and smarter on the field. I just wish they had more material, two books aren’t enough. Good, definitely a good program. It did help, but I didn’t exactly make my skills skyrocket. Still, having the price in mind, great deal. Nothing special, tbh. I did learn a trick or two and found some useful tips but that’s all. Not really a program that can make you improve from the beginner level to a pro.